Hello Linux Geeksters. Not long after they have announced that Ubuntu Touch has been installed on 10.000 devices already, the Ubuntu Developers bring us another interesting statistic: The number of downloaded Ubuntu Touch applications has passed 100.000. The developers have counted the click package downloads, this including both the packages that were downloaded directly by the users and the updates that have been done automatically. Even though the real number is smaller, it is still impressive, due to the fact that the first Ubuntu Touch powered devices were not released yet. For more information, see the announcement on developer.ubuntu.com. 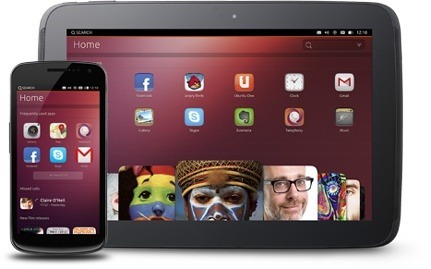 Canonical has been working a lot at Ubuntu Touch, the mobile version of Ubuntu. While the initial plan was to make it available for all the Google Nexus smartphones and tablets, the developers have dropped the support for Galaxy Nexus, Google Nexus 7 2012 and Google Nexus 10, Ubuntu Touch, now based on Ubuntu 14.10, being officially available only for the Google Nexus 4 smartphone and the Google Nexus 7 2013 tablet. (Nexus 5 is not yet support by Ubuntu Touch.) The first Ubuntu Touch powered phones are scheduled to be released this year, in Europe by BQ and on the Chinese market by Meizu, one Asia’s leading smartphone manufacturers. Due to the fact that Ubuntu Touch is not yet stable enough to be used on mobile devices, the Canonical developers are planning to release a RTM (release-to-manufacturer) branch, where they will be focused on bug-fixes and stability improvements, and not the implementation of new features.